Celebrate National Garlic Day with a Chance to Win Snacks! Guess what today is? In addition to being Monday and my sister's birthday (Happy Birthday, Sis) -- it's National Garlic Day! That means all you garlic lovers can celebrate your love for one of the yummiest, boldest flavors by telling us about your favorite garlic snack, recipe, or story. You can learn more about New York Style AND get a coupon good for 75cents off your next purchase by visiting their website and becoming a member of the Central Park Club! *Sample was received for this promotion. I love bread...but arlic bread is even better! For Christmas my boss took us to the fanciest restaurant in town. The had $40 steaks. On the side they served an entire bulb of garlic that had been baked with olive oil and spices and the top had been cut off. I ate every clove by it's self. Letting it literally disolve on my tongue. It was the best thing I have ever had. Garlic? I like Chinese Wontons stuffed with chopped pork and garlic. That and cold beer. Garlic is a main ingredient in our home. We get it amazingly cheap 5 garlic heads (BIG!) for $0.96 at our local small market store down the street. We sometimes go there just for garlic! I love garlic in my spaghetti best. fave is chopped fresh garlic in olive oil and balsamic for bread dipping - yum! I love garlic on white chicken pizza...mmm! I loved it when Olive Garden served Roasted Garlic Alfredo--huge cloves of roasted garlic smothered in Alfredo sauce and noodles--yum! I love adding garlic to anything italian that I cook, especially spaghetti sauce! My favorite garlic recipe is Shrimp Scampi :) *Thanks* for the giveaway! This recipe for Chicken with Forty Cloves of Garlic is fantastic! I make a whole roast chicken with lemon and garlic that tastes great. I love eating garlic bread with cheddar cheese melted on it. Mine is Garlic Tortellini Salad! 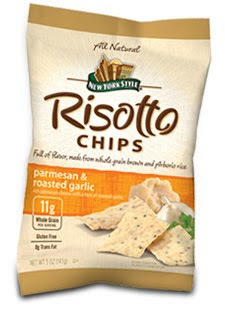 I like garlic bread the most but as far as snacks I like garlic bagel crisps. Put garlic salt on over-easy eggs! I never tried it before this year and it sounded HORRENDOUSLY gross, but it is so super yummy. I don't have an actual recipe,l but once I made a chicken with 20 cloves of garlic. Basically, a chicken is roasted along with 20 whole cloves of garlic. The garlic is then squeezed into a bowl to use as a spread. Amazingly delicious! I put garlic in a lot of things - garlic bread being one of my favorites. But I recieved some garlic stuffed olives for Christmas(yes, my friends know me well) and they were awesome! Garlic goes into almost everything here. I love my Chicken with 40 Cloves of Garlic. When growing up, I made a turkey meatloaf with so much garlic that you could smell it when my brother burped. His friends were ready to kill me that night. Haha. Garlic bread, garlic chips, garlic on my pasta.. all very good, but nothing is better than garlic on a white pizza! I really like Garlic Bagels too! My favorite garlic food is a simple red sauce for pasta with lots and lots of garlic. I love bruschetta with garlic! I put garlic in everything from salad to pasta dishes to guacamole. I use it on bread and I roast it with beets. Garlic is great! Garlic toast is my fave (I know, I'm boring!). We use garlic in so many different recipes, but hubby's garlic bread with cheese is definitely one of my favorites! Garlic Spinach Basil Pesto is my favorite! We use a thin layer for sauce ontop of pizza dough for our spinach, motz cheese, and mushroom pizzas! Mmmm! YUM!!! I'd have to hide them to keep my husband out of them. My favorite is good ole fashioned garlic bread. I like roasted garlic on a toasted baguette. Thanks. I make this Sweet Vidalia Onion Pie, which has garlic in it too, of which everyone asks to have the recipe! I love garlic bread, thanks! My favorite dish with garlic is my grandmother's variation of Shrimp Mosca. Shrimp, butter and lots and lots of garlic - served with garlic bread. It's just amazing! I like to snack on left over garlic and cheese biscuits that have been sliced into two or three thin alices and toasted. garlic bread because it is the simplest and warm. I love Garlic chips of any kind! I love to add chopped garlic to frozen pizzas! I love boiling garlic with my mashed potatoes. I really used to hate garlic until I got the taste of it from Olive Garden's breadsticks. That eased me into it and now I can cook with it and love it! I love to bake bread and baste the top of it with garlic butter sauce. It gives it the perfect flavor. My garlic story: I hate going to the doctor, so when I don't feel well, I try home remedies first. When my daughter was about 8, she had a cold. I gave her a garlic oil pill instead of cough syrup. She smelled terrible for days! Her cold went away, though. :) I liked pickled garlic as a snack. My favorite garlic snack is pasta with garlic sauce. My fave garlic 'snack' is garlic pita chips :D I hope to get to try all the rest of their products! We went to a Garlic Festival in Saugerties, NY and got a free sample of garlic ice cream!! It was actually quite good! I love garlic in anything but my favorite is stir fry with loads of fresh veggies, chicken and lots of garlic. I really like garlic toast.